We are delighted to see our Co – Founder and CEO take home the Inspire award at the GG2 Diversity leadership Awards – the premier awards for inclusion, diversity and leadership which took place at Park Plaza Westminster Bridge Road – celebrating its 20th anniversary. 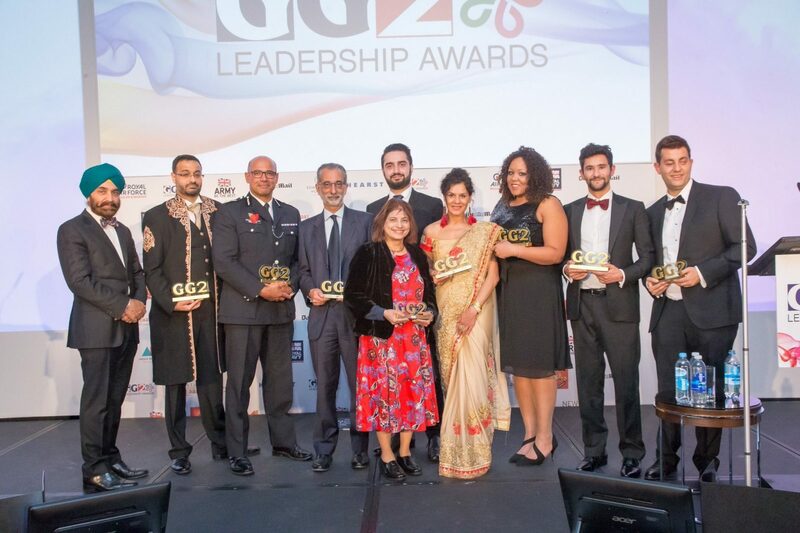 The annual GG2 Leadership awards are a fantastic celebration of this country’s rich cultural diversity, with the landmark year providing an opportunity to reflect with pride on the incredible achievements of the UK’s black, Asian and minority ethnic communities. From business, sport, politics and arts, charity and the military, the awards bring together a fantastic line-up of leaders from Britain’s most enterprising black, minority and ethic Asians and high achievers who are not only outstanding achievers in their fields, but also – crucially- the role models for future generations. Home Secretary, The Right Hon. Sajid Javid MP, won a double accolade at the 20th GG2 Leadership Awards: the Hammer Award and topping the GG2 Power List, profiling the 101 most influential Asians in Britain. It has been an absolute delight to see our very own Naheed Afzal being recognised for her work as the co-founder of Contracts IT Recruitment Consulting, working with businesses around the world to promote diversity and inclusion within their recruitment practices. Powering innovation through tech diversity. She has also inspired many other women in ethnic minorities to enter sectors that are predominantly male dominated professions. The award has been a great signifier for all of the work Naheed has accomplished but also serves to inspire more young people. “Among all the glitz, the glamour and the razzmatazz of the evening it was also a time to reflect on the incredibly important work that GG2 Leadership Awards has been doing over the last two decades, in spotlighting some of the exceptional talent that live among our diverse communities today. Contracts IT Recruitment Consulting Power innovation through tech diversity by linking exceptional technologists with some of the most innovative organisations around the world helping to build strong and competitive tech teams.